To keep you feet warm in cool but not freezing conditions. Very Belgian. Our 5th generation toe covers, keep evolving for the better! Superb fit, construction and materials. 1/5 of the weight of overshoes yet still heaps of foot protection. The durable, Windproof material will keep out road spray and your feet warm on spring mornings or autumn evenings. Can be worn on their own or as an extra layer between your shoe and overshoe. Our 2018 toe warmers are 2cm longer than any other toe warmer on the market. Covering more shoe and offering more protection. 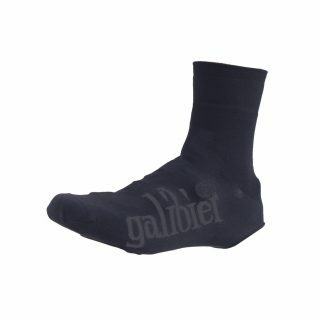 Galibier have have improved the toe fabric for durability and added a reflective tag for easy of fitting. Love these. Easy on and off, yet secure. Can be stowed in the back pocket if temperatures rise. 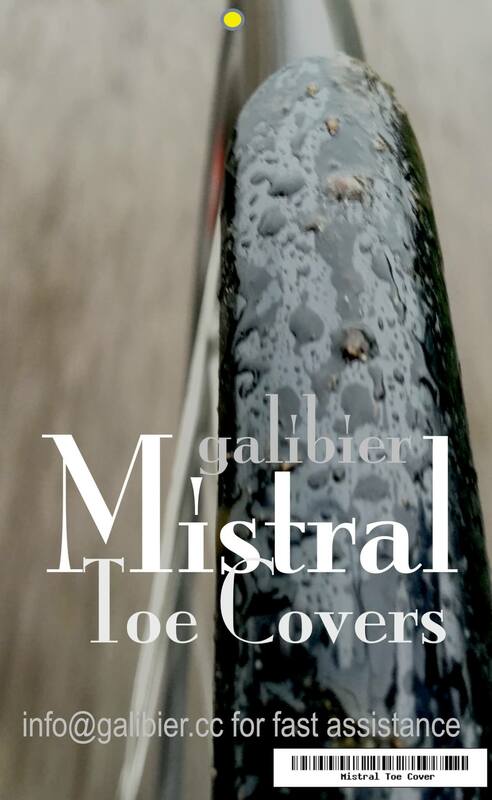 Super-compact toe covers – will fit easily into a jersey pocket if the temp warms up. If you suffer from chronically cold feet, these toe covers, used in conjunction with an overshoe should protect even sufferers of poor circulation from frozen toes. Like all overshoes, be careful that they do not come into contact with the ground or cleat and they will last. Overshoes love cycling. All overshoes will die quickly if you walk in them. The base of the overshoes is not designed to repel concrete. Like all overshoes, be careful that they do not come into contact with the ground or cleat and they will last. Overshoes love cycling. All overshoes will die quickly if you walk in them. Concrete eats overshoes so be nice to them- penguin walk on your heal and cleat. Least chance of slipping and the toe area will remain free from ground contact. Had an joint replacement operation on my foot last autumn, leaving it very vulnerable to the cold weather. However, with the use of these toe covers, thick pair of socks and overshoes, I was able to get some miles in with no bother. These covers are a must for any cyclist spring winter and autumn, brilliant. Also, my old pair of faithful Time shoes were looking a bit grotty, these covers hide all the scuffs and marks. Please buy a pair you won’t be disappointed. Really good quality covers. I had the old style to-covers, these are much better. Tough fabric, no movement over the shoe, retains the heat, and more importantly, retains the quality of the shoe beneath. Highly recommended! Great quality and perfect for autumn and spring weather when overshoes are going to be overkill. Blocks wind and keeps feet nice and warm on early morning rides and easily removed and put in rear jersey pocket when it warms up. 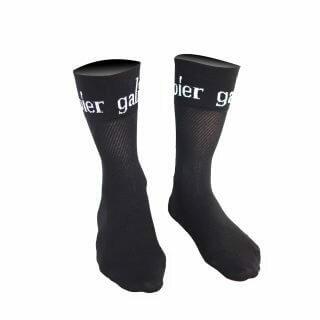 Superb quality and value for money from Galibier and next day delivery. Galibier have become my first choice for kit this year, superior to Castelli and dare I say Rapha! Keep up the good work. They keep your toes warm and cost £8.90. What more do you need to know? Buy some. Does exactly what they say on the tin but for less than everyone else. Nice range of sizing too, M for my size 8 feet was perfect. As usual for anything I have from Galibier, this is well built and an excellent design. Good for those days when it is not a downpour but wet. For sizing reference, I ordered medium. I have a size 8US/41EU Giro Terraduro HV (high volume–wide) offroad shoe which I use with SPD pedals. The size is just about right. Probably due to the wider shoe, the cleat opening at the back edge is just clear enough to allow the pedal to engage. It does not snag the pedal when clipping or unclipping but I would prefer if there was a bit more margin. If someone has a similar shoe and size, I would consider going one size up. Bought size large for 44EU shoe which fitted perfectly, easy to put on and take off. Cycled at 5C temperature in the wet and feet stayed warm and dry throughout. Great product. These are great value. 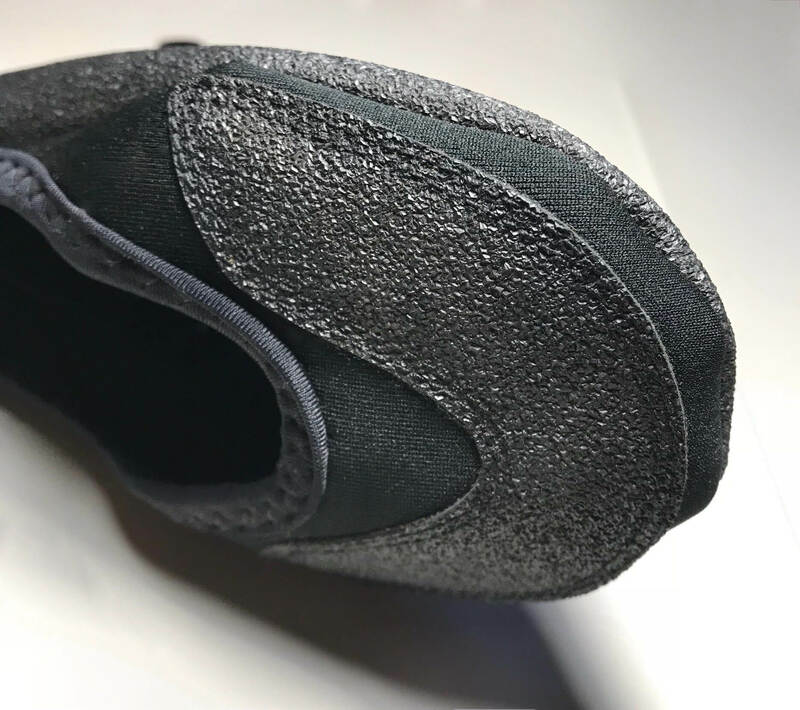 Fit true to size, with good stretch in material- I’m using MTB shoes (Giro), and it’s not a problem with that wider shape. With the exception of indoor rides on the Turbo, I’ve not taken these off my shoes since purchase. There’s no need to – I simply roll them down to access my shoe straps and then roll them back up when ready to ride. They cover just the right amount (Large for EU44 Sidi)and the bottoms are very well constructed for occasional walking and foot-down at junctions/lights.